Regardless of the scale of the task, we will deal with every one of your gardening needs including landscaping, patios and turfing throughout Seacroft and Crossgates. We have been around for years, and in this time we’ve picked up unsurpassed knowledge and excellent customer service skills, meaning we accomplish all our work to unbeatable standards and at a price that suits every budget throughout. 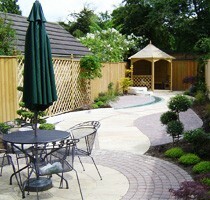 We know how to transform an untidy, unused garden to a bright and attractive outdoor living area. We offer free estimates for all gardening work, so get in touch with us without delay. Whatever you require doing, you need a quality gardener. Our specially trained team are all locally based, so no matter what you need, we are near at hand to help with all your landscape gardening, regardless of the size or style. All our work comes fully guaranteed so there’s never any need to worry. Call now on 0113 370 9072.